Hollywood has been banking on big-budget superhero movies, grand dystopian nightmares, giant pop-culture franchises, and captivating animated adventures to make the big bucks — and these haven't disappointed so far. In 2018, Hollywood has seen its films mint money across the globe; and while some of these were movies expected to be blockbusters, there have been a handful of surprise box-office hits. 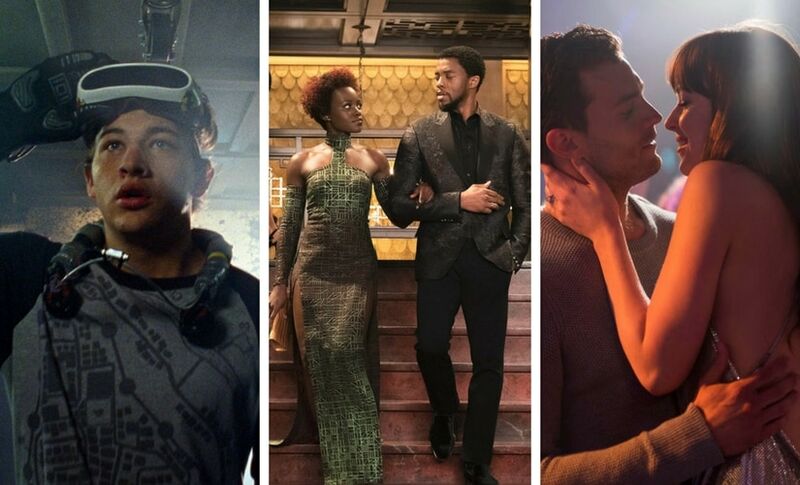 2018 has been a big year for Marvel, again. The clear winner thus far, has been Ryan Coogler's Black Panther. 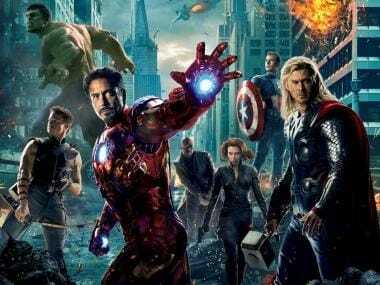 This Marvel superhero movie, which features a cast of predominantly black actors, became the only movie in 2018, so far, to cross the coveted $1 billion mark. Black Panther, which stars Chadwick Boseman, Michael B Jordan, Lupita Nyong'o and Martin Freeman, raked in a worldwide total of $1,323,487,044 becoming the highest grossing movie of 2018, and the 9th highest grossing film of all time. In 2017, one Hollywood movie was able to crack the list of top-10 highest grossing movies of all time — Star Wars: The Last Jedi sitting on the tenth position with a total worldwide gross of $1,322,211,861. The second highest grossing Hollywood movie of 2018 is Steven Spielberg's Ready Player One with a total worldwide collection of $521,581,326. This figure is less than half of Black Panther's total worldwide collection. Made on a budget of $175 million, Ready Player One's box-office numbers have been in-line with estimates. In the third position is the final installment in the Fifty Shades franchise, Fifty Shades Freed. While the movie barely managed to touch the $100 million mark at the American box-office, Fifty Shades Freed comfortably grossed a total of $368,307,760 worldwide. The third and final movie in the Fifty Shades franchise, Fifty Shades Freed is also its lowest grossing. (Fifty Shades of Grey and Fifty Shades Darker have a worldwide gross of $571,006,128 and $381,128,783 respectively). Top three highest grossing movies worldwide of 2018, Ready Player One (second), Black Panther (first), Fifty Shades Freed (third)/Images from Twitter. The fourth highest grossing Hollywood movie in 2018 is Peter Rabbit. Directed by Will Gluck (known for Easy A, Annie), this live-action animated movie, based on the fictional character of the same name, made a total of $309,973,563 worldwide. It is one of the two animated movies to feature on the top-10 highest grossing movies of 2018. In 2017, Despicable Me, on number four, was the only animated movie to make the top-10 list. Disney-Pixar's animated super-hit Coco ended up at the 11th position in 2017. The third and final instalment of the Maze Runner franchise, titled Maze Runner: The Death Cure, ended up at the fifth position raking in a total of $284,786,443 worldwide. This, again, is the lowest grossing movie in the franchise with the previous two movies, The Maze Runner and Maze Runner: The Scorch Trials, having made $348,319,861 and $312,325,103 respectively. Rounding up the top-10 are Rampage, Pacific Rim Uprising, Tomb Raider, Paddington 2, and A Quiet Place. In the sixth position is Dwayne 'the Rock' Johnson's Rampage. As expected, Rampage became a box-office success collecting $283,000,066, so far. In 2017, Dwayne Johnson starred in two top-10 highest grossing movies of the year: Jumanji: Welcome to the Jungle and The Fate of the Furious. On the seventh position is Pacific Rim Uprising with a total collection of $282,153,740. The first Pacific Rim movie, released in 2013 and directed by Guillermo del Toro, had a total collection of $411,002,906 worldwide. On the eighth, ninth and tenth positions are: the Lara Croft reboot Tomb Raider starring Alicia Vikander with a total worldwide gross of $269,018,444; Paddington 2 with a total worldwide gross of $224,353,866; and A Quiet Place with a total worldwide gross of $207,158,711. 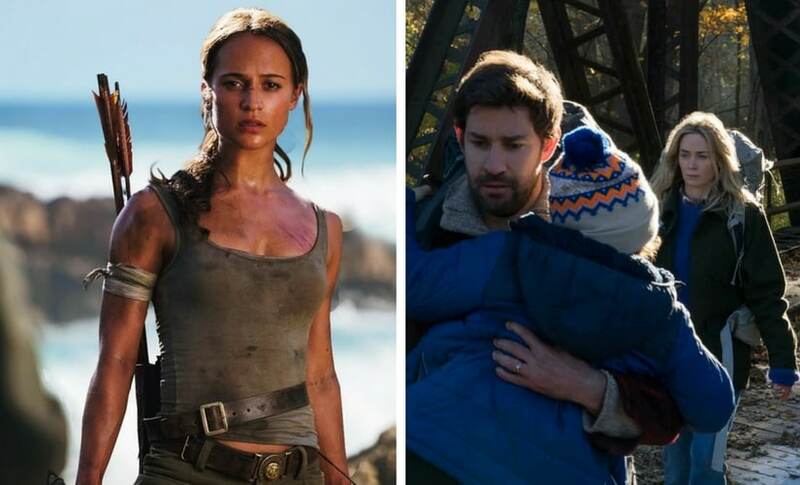 A Quiet Place, which is John Krasinski's directorial debut, was made on a budget of $17 million and has sky-rocketed in collections worldwide based on its strong critical reception and unique story concept. Tomb Raider and A Quiet Place/Images from Twitter. In 2017, there were four movies that crossed the $1 billion mark: Star Wars: The Last Jedi, Beauty and the Beast, The Fate of the Furious and Despicable Me 3. 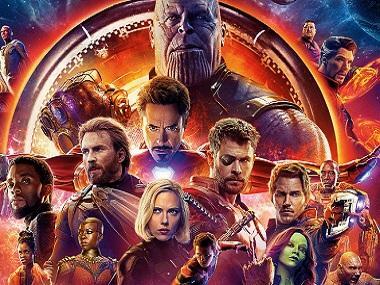 Other than Star Wars: The Last Jedi, which was released in December last year, all other billion-plus grossing movies were released in the first half of 2017. Movies like Insidious: The Last Key performed exceedingly well with a worldwide gross of $166,689,842 on a small budget of $10 million. Black comedy film Game Night starring Jason Bateman proved to be a stellar success with a worldwide gross of $108,505,198 on a budget of $37 million. Liam Neeson's action-thriller The Commuter, and Gerard Butler-50 Cent starrer Den of Thieves performed as per expectations with the former crossing the $100 million mark in worldwide gross. Den of Thieves, on the other hand, managed to make $79,547,622 worldwide. Jennifer Lawrence's Red Sparrow, with a worldwide gross of $144,948,738, and the Oprah Winfrey-Reese Witherspoon-Mindy Kaling starrer A Wrinkle in Time, with a worldwide gross of $122,871,421 on a budget of $100 million, have been two major disappointments for Hollywood in 2018. 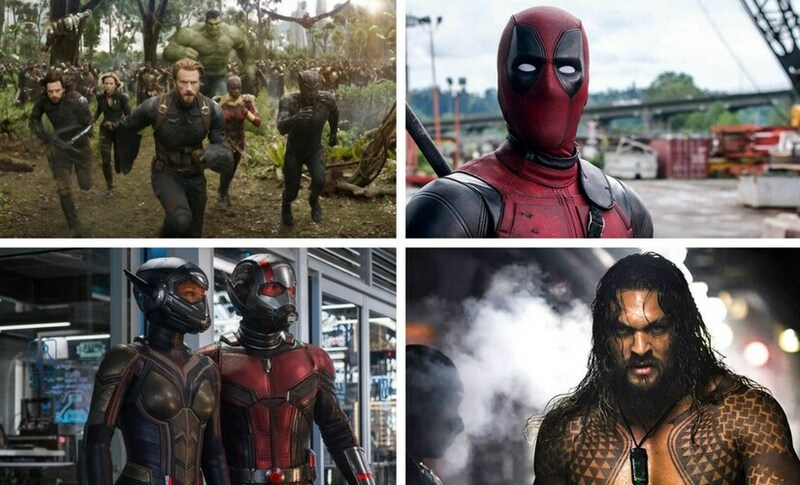 (Clockwise) Avengers: Infinity War, Deadpool 2, Aquaman, Ant-Man and the Wasp/Images from Twitter. Just like 2017 was dominated by superhero movies and well-established franchises (Spider-Man: Homecoming, Guardians of the Galaxy Vol. 2, Thor: Ragnarok and Wonder Woman), 2018 will also count on the same for guaranteed box-office glory. 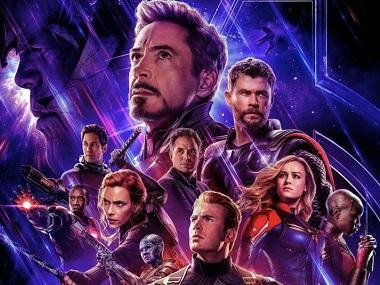 With Black Panther already crossing the billion dollar mark, it's time for Avengers: Infinity War (releasing 27 April; Avengers: Age of Ultron made $1,405,403,694 worldwide), Deadpool 2 (releasing 18 May; Deadpool made $783,112,979 worldwide), Ant-Man and the Wasp (releasing 6 July; Ant-Man made $519,311,965 worldwide), and the first ever Aquaman movie with Game of Thrones' Jason Momoa playing the titular character to ensure a successful 2018 for Hollywood.